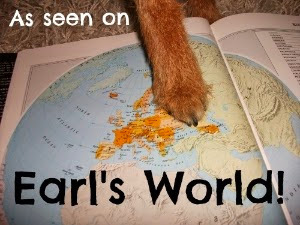 In the UK, under the Control of Dogs Order 1992, it is a legal requirement for ALL dogs to wear a collar with a disc attached (or other way of attachment), showing the name and address of the owner. It IS a legal offence for your dog not to wear one when out in a public place. To quote from the Control of Dogs Order 1992: "every dog while in a highway or in a place of public resort shall wear a collar with the name and address of the owner inscribed on the collar or on a plate or badge attached to it." The tag details must contain the name of the owner, plus enough information to identify the address. A house number and postcode would suffice - see how much room you have on the tag. A telephone number is not mandatory, but makes it a lot easier for the person holding your dog to contact you. We personally do not include my name on the tag, as it can make it easier for someone to take off with your dog if they know its name! Although I love everyone, so not sure if it helps in my case! 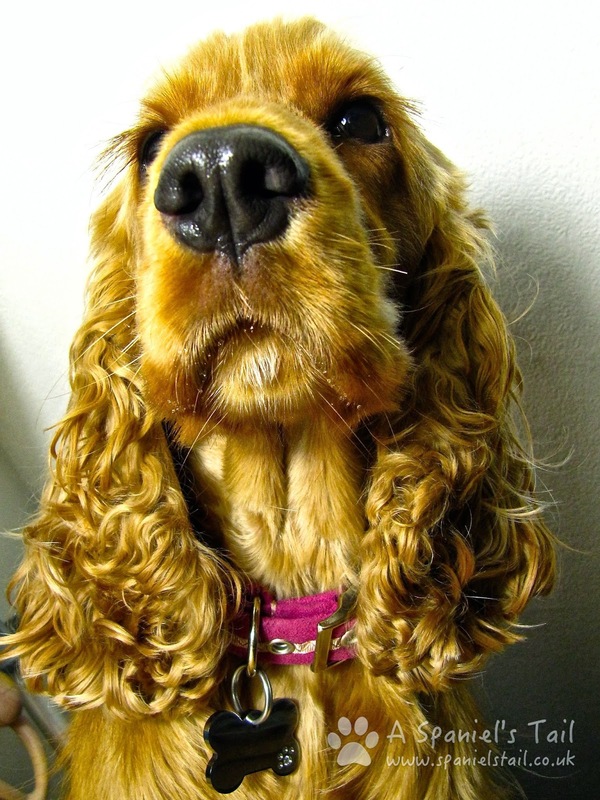 There can be a fine of up to £5,000 if your dog is found not to be wearing an ID tag when out and about - as previously mentioned, microchipping though a great and wonderful thing, does not meet legal requirements. There are a number of dogs that are exempt from this - but ONLY while working. Once they have finished working, they must be collared and tagged when out and about, just like any other dog. Now onto the frivolous, we actually love our tags! Like collars, Hooman has a thing for tags too (well, they do go together!) and she loves finding new ones. Having to buy some for our change of details was such a hardship! 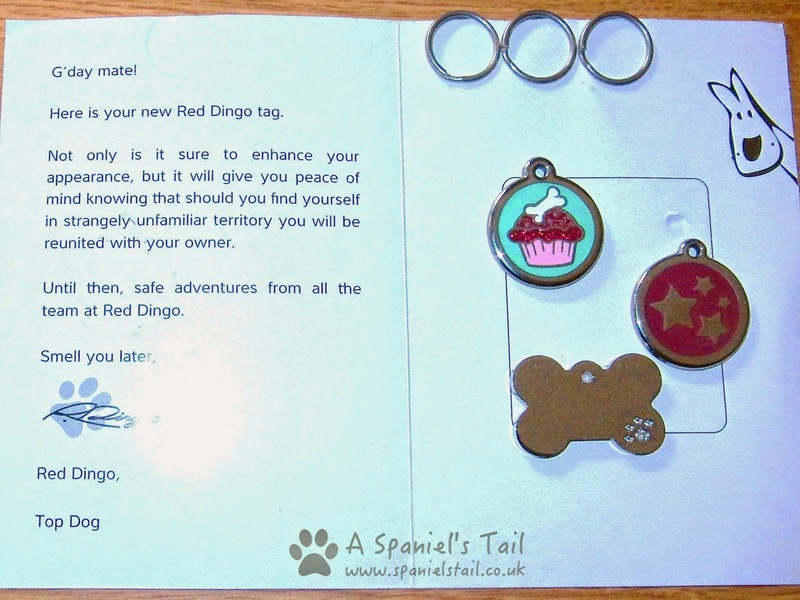 We have tried a number of retailers, and we always go back to Red Dingo tags. We absolutely love them - they are solid, heavy in the hand tags, that look brand new after a year and a half. These were the three in this weeks order - loving the glittery cupcake! And not a brilliant photo, but the silver bone tag is super shiny, and has Swarovski crystals in that little paw print. Love! Did you know the rules? Are the laws very different where you live, if you are not of UK residence? I gotta have a tag that hooks on my collar instead of the dangle kind becuz I'll chew metal. And den nobody can read my tag, which kinda does away wif da purpose. Love those tags. I have done a post on this before as well. It is so impawtant to have proper id on pets. Well said Lottie but so many peeps don't bother and no one in forces it. Have a fabulous Friday. Lovely tags, it's so important to have up-to-date info on them! Thanks for sharing! Oh boy, that is smart! The new tags are awesome! We don't have several of those laws here but we should. I like the star tag. Freya has one tag with her/our contact details. The other says "loved and microchipped" so anyone who finds her knows she's got a chip.